Not all condo buildings are created equal; nor are they all created smoke-free! Even though Nova Scotia implemented the Smoke-free Place Act in 2002 requiring all indoor workplaces and public places like schools, libraries, theatres, restaurants, bars, etc., to be smoke-free, most of the condo and rental buildings in Halifax took a bit longer to embrace a smoke-free policy. 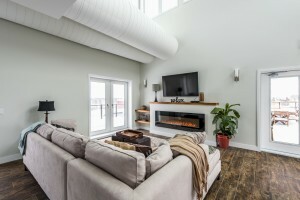 Q Lofts has the unique distinction of being a building created as smoke-free right from the beginning – even during construction. Lobbies, corridors, owners’ suites, stairwells, the elevator, parkade, private balconies and terraces, amenity spaces and even the whole property it sits on, has been designated as smoke-free. This does not mean we discriminate against smokers! It just means that residents or guests, or anyone with access to the building, must smoke off the property. Well written condo documents, signage, disclosure to new buyers during the purchasing phase, a proactive condo board and a Resident Manager all help to ensure the policy is followed. The value of a smoke-free building cannot be overestimated; there are so many benefits for everyone – simply enjoying clean indoor air in your own home is perhaps the biggest. And that’s closely followed by the multitude of health benefits for children and adults alike, especially for those with breathing difficulties. Cleaning cannot be forgotten – your suite is much easier to clean when there are no nicotine stains to scrub or paint over. And don’t forget about the building – smoke-free means fewer maintenance issues for your condo board and that may help to keep your condo fees nice and low like they are at Q Lofts. All that adds up to increased value for your home as more buyers are demanding smoke-free spaces to buy and live in. 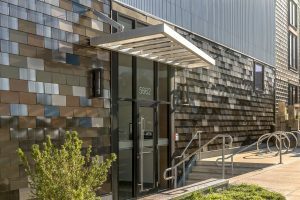 It’s a simple concept to keep everyone comfortable and healthy in their own space and it just makes sense in a building like Q where the mechanical systems installed to provide excellent air quality are exceptional. Creating amazing homes for the people of Halifax takes a crew of committed and equally amazing people. This post was written by a Polypeep about a subject near and dear.